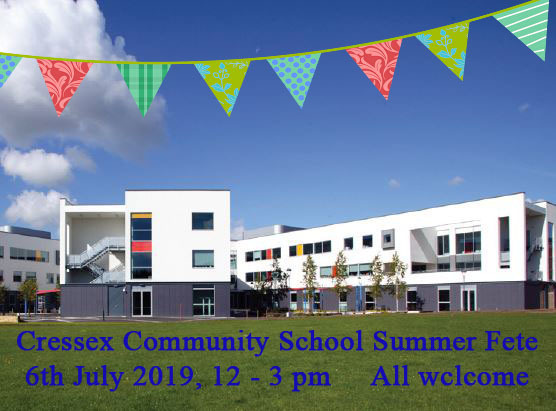 Preparations are well underway for the Cressex Community School Summer Fete 2019! Meetings are being held, plans are being drawn up and ideas for a fun-packed afternoon masterminded. So... save the date and watch this space for updates on what should be a great Cressex community get-together.